If I say that you can make a decent sum of money by investing virtually nothing, you will say, “Go, clear you head”. But, it is possible. Google Adsense does allow you to make money without any investment. Let us see you can do it. In very simple words, Adsense is a revenue sharing opportunity. Have you noticed that certain ads pop up on your computer screen whenever you visit any website? These ads might be relevant to what you had searched previously in the recent past. This is nothing but Google Adsense at work. There are websites that place ads for both goods and services relevant to your content on your website. The aim is to target visitors to your website. What do you get in return? You get a certain sum of money either when the ad is displayed or someone clicks on the ad. We shall now look at ways to maximize your Adsense revenue. The process involves 3 stages. The first step in the process is to sign up for a Google Adsense account. This is a simple process that does not take much time. It is a self-explanatory process. You can now proceed with creating your own ad. Click on My Ads and proceed to create a new Ad unit. You have to give a name to your Ad. A simple way of naming the ad would be “Your target website-Ad size-date of ad”, (abc.com-300X600-02142018). Make this your standard format. Setting the Ad type is the next thing to do. It is advisable to choose “Text and display ads”. Creating a custom channel allows grouping of ads based on certain criteria like size or location on the page. This enables you to track the performance. Decide on your own ad style. You can choose from Google’s preset styles or create an individual style. Preview the ad before proceeding further. The final step in this section of creating the ad is to get the code. Click on the “Save and get code” option on the page to get the HTML code. Analyze: As in every other business marketing activity, you should know who your target audience is. It can be people who wish to earn money online. This is just an example, but it helps in narrowing down the scope of audience. You have to research and judge the characteristics of people who frequent your website. Fine-tune your content: Set up different channels by which you can group your ads based on certain characteristics like category, color, or pages. This helps you to gauge the performance of each category. You can thus improvise on your strategies depending on the performance of the respective ads. As far as possible use different styles for different categories. Their performance analysis lets you decide on your future course of action. Optimize your ad: The main objective of placing your ad is to ensure its visibility. Hence you should do your research in this area to decide where and how you place your ads. Similarly ads on the left top corner generate more revenue than ads on right bottom corner. The objective is to maximize your income. You can do so only if visitors click on the ads. How does Adsense work? 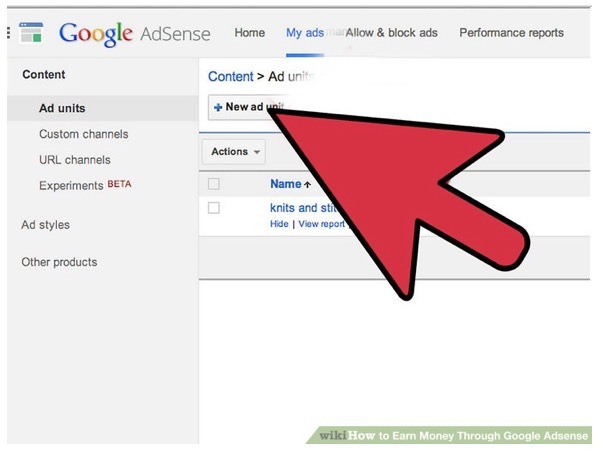 Depending on certain criteria, Adsense automatically sends ads to your website. Placement based: Advertisers have the choice where to display the ad on the page. If their choice matches your criteria, Adsense will make the ad appear on your page at that particular location. Interest-based: User interaction and interest are also one of the deciding factors for placement of ads on your website. For example, the user might have shown interest on plumbing items in the recent past. Therefore showing these ads related to plumbing would be of benefit to such clients. Thus you see certain ads popping out of nowhere based on the client’s interests. Thus, you see chances of generating income based on your content, advertiser’s preferences, and visitor’s interests. Is this not a great opportunity to earn money outside your niche? What is the kind of revenue you will generate from Adsense? This requires you to manage activities that maximize your earning potential. The following factors play a great role in your revenue generation. Traffic: Naturally, people should click on the ads for you to get ant revenue. Hence, you should use other methods of marketing like local SEO campaigns to get the word out. The more people know about the website, the higher is the traffic. Pay per Click (PPC): You get paid every time someone clicks an ad on your page. This is also an effective way to earn income. You do not have to do much. The user clicks on the ad and you get the payment. Click through Rate (CTR): Not everyone that visits your page will click on the ads. The proportion of the clicks constitutes the CTR. Higher the traffic, higher is the possibility of people clicking on your ads. Hence, a higher CTR is beneficial. Revenue per 1000 impressions (RPM): In this case, page views are the criteria. This is an analytical feature enabling you to determine the performance of your website. Content matters a lot: Good content will automatically result in higher traffic thereby generating greater revenue. There is nothing to beat good content. This requires you to get the basics of SEO right. Do your keyword research and use popular and profitable keywords. Sometimes, you need to balance out the keywords and find out those that have high demand and low supply. This is a decent way to earn some extra income online. It is becoming a popular venture nowadays. Guest article written by: Shishir Kumar Kathurwar is an ex-startup entrepreneur currently working on kickstarting inbound marketing for a plug and play business website startup. Cracked the code of generating 750K monthly traffic in 10 months by using creative content. Launched inbound marketing of multiple Saas Startups in USA and Canada. Google Adsense is one of the best ways to make money online or we can say from website monitization. Firstly, we should make an effort to get a decent amount of traffic on the website and then apply for Google Ads on it. 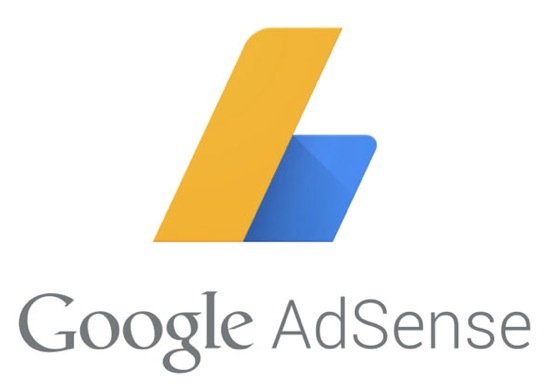 You have covered many necessary information about Google Adsense in this post and I have learned some new things from this post. Thanks Praveen, for the feedback. Google Adscence is really a good option to make money on your blog. but coming to think of it, Google is very strict nowadays when it comes to approving new AdSense accounts. People say it doesn’t matter to Google how much traffic your site needs to have before they will approve, but it seems you actually need to have lots of traffic. Lots of bloggers are running after them just to get an Account for Adscence. So I will say apart from creating good content and getting more traffic, then comes the headache of getting a fully function Adscence Account. By the way, thank you for sharing! Next post: New To The World Of SEO?